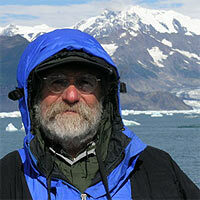 Steven Baigel is a documentary filmmaker and photographer who has worked on numerous award winning productions. Recently Steven was co-editor with Tal Skloot on the multiple Emmy award-winning documentary The Bridge So Far: A Suspense Story. Other films and videos that Steven has worked on as producer, director, cameraman, editor, and sound recordist include: Amazing: The Rebuilding of the Oakland MacArthur Maze; Of Wind & Waves: The Life of Woody Brow; Keeper of the Beat: A Woman's Journey into the Heart of Drumming; Digital Democracy Comes of Age; Seniors For Peace; Surfing For Life; Bound By the Wind; A Question of Power; Butterflies and Bulldozers; Mason Williams: A Classical Life; Pawo Thupten Ngodup; That Which Colors the Mind: The Life & Music of Nikhil Banerjee; Welcome to Space & Missile Country; Life as Cinema; Harvest of Hope; The Price of Power; Large Dams/False Promises, Stopping History; and others.